A Growth mindset is the belief that your most basic abilities develop with dedication and hard work. This belief was central to Tom Watson’s success. The legendary founder and CEO of IBM understood that brains and talent are just the starting point. More importantly, he embraced failure. Most of the greatest innovators do. Unfortunately, many of us struggle with a fixed mindset. We believe that our most basic qualities, like our intelligence or talent, are simply fixed traits. We believe that because we were rewarded for what we accomplished rather than the effort we put in. We were taught that the star in class or the coveted “A” was what was important. The key to developing a growth mindset is learning to appreciate the process. When leaders are able to do that, they experience the rewards that come with confident, secure, and experimental organizations. A #GrowthMindset results in happier and more innovative employees. 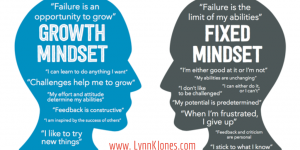 The psychologist Carol Dweck, suggests that “growth-mindset firms have happier employees and a more innovative, risk-taking culture.” Dweck researches the Growth Mindset and explores these ideas in her book Mindset: The New Psychology of Success. It makes sense that Growth Mindset organizations would have happier employees. When people are recognized for the effort they make, they feel good about making the effort. And we all know that there is nothing worse than being in an environment where everyone is afraid they are going to be in trouble for making a mistake. Those environments breed a lack of trust and in the most extreme cases, cultures of paranoia. Diverse organizations, where people are supported to learn and grow, are organizations that are willing to take risks. These organizations “look to double their rate of failure,” as Tom Watson said. It is no surprise then, that organizations with a Growth Mindset, have been found to be more innovative. You can read case studies about organizations with a Growth Mindset in the Harvard Business Review. My colleague, Jacqueline Oliveira and I conducted an all-day retreat with the Executive Team of Direct Relief International about how they could develop a Growth Mindset as a team and with their partners. We introduced them to idea of the Growth Mindset and taught them new ways they could approach their work together. We challenged them to think about their processes, so that they could learn: how to listen to one another appreciatively; the importance of suspending a tendency to judge themselves or others; and how to look for opportunities to grow in moments that might be viewed as setbacks or failures. Of course, you can’t adopt a growth mindset in one retreat; it is a starting point, but one that galvanized the team at Direct Relief International. I like to coach leaders who want to develop a Growth Mindset to embrace a new mantra: Think Effort, Not Output. For most people that is a profound shift in how they think about themselves, their teams, and their work. Developing a new mindset requires practice because you are developing new brain circuitry to think differently. The good news is that it is possible. I am a big fan of journaling as a way to support building a new thinking habit. Read how to use a journal: Journal for Success–5 Important Steps to Get Started and Reduce Overwhelm. 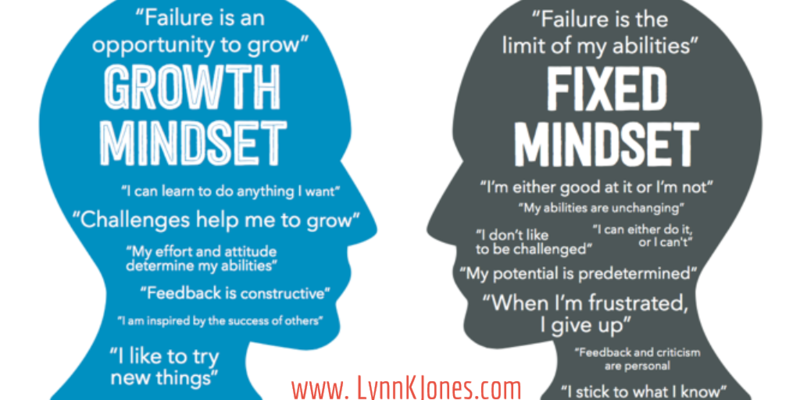 Interested in coaching to support you in becoming a Growth Mindset Leader? Schedule one with Dr. Lynn K. Jones at www.lynnkjones.com/schedule.